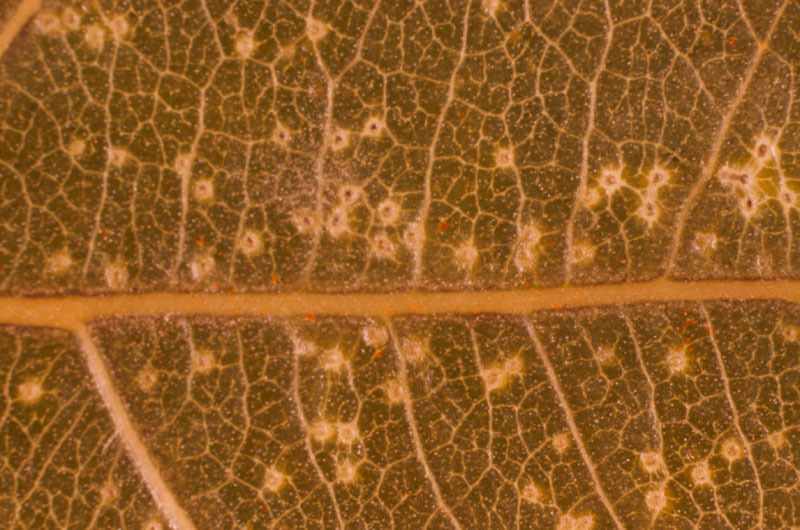 Small mines on the upper surface of the leaves are evidence of the presence of Lombardy leafminer. 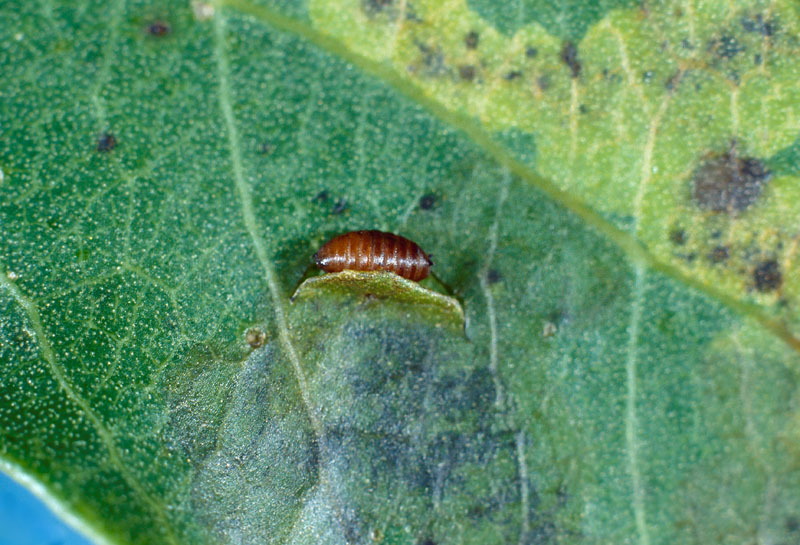 The larvae produce mines by feeding on the parenchymal cells of the leaves. 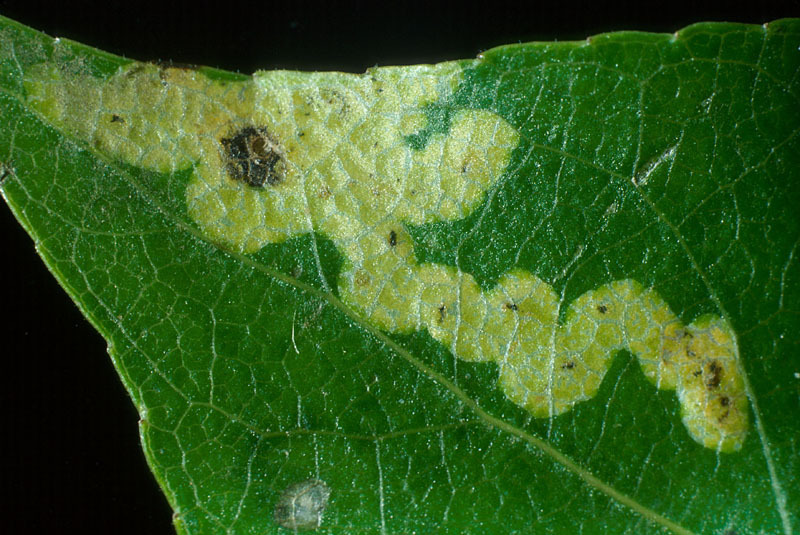 As the larvae mature, the mines expand and the affected leaves turns light green. 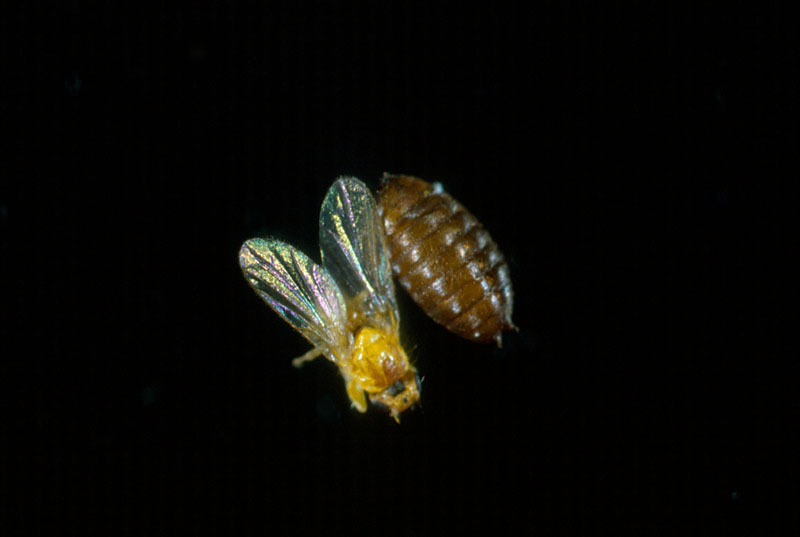 The damage caused by this insect does not affect tree survival. 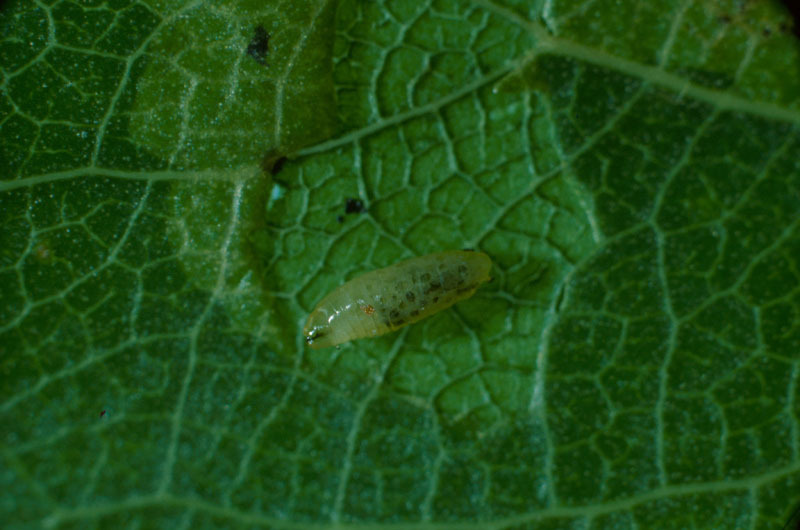 The larvae are active from June to October. When fully grown, they vacate the mine by cutting a semi-circular slit in the mined leaf. They transform into a small oval pupae either in the opening made at the end of the larval gallery or at the surface of the leaf. The pupae, which often remain suspended to the leaf until fall, drop to the ground, where they generally overwinter. They transform into adults the following spring. Native to Europe, the Lombardy leafminer was first reported in Canada in 1956 on Lombardy poplars in Quebec City. It has subsequently been reported in southern Ontario and several parts of Quebec. The insect appears to be well established in eastern Canada. 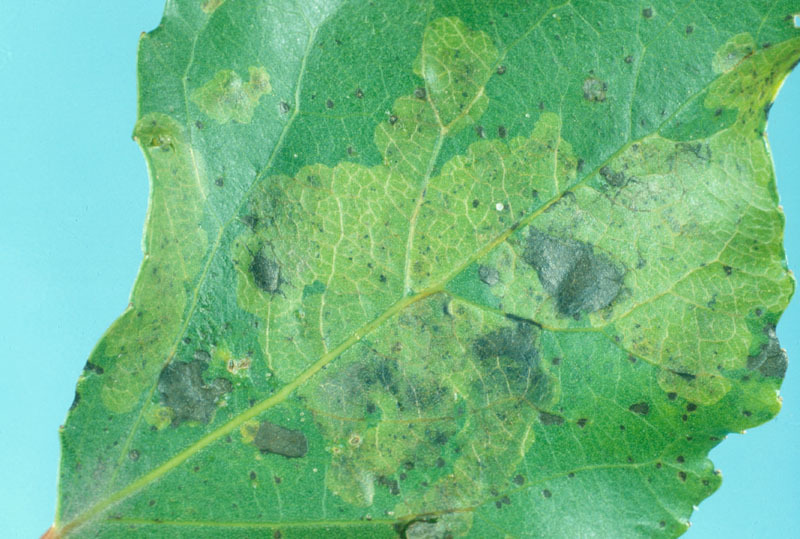 No control measures are warranted since the damage generally occurs near the end of the growing season.